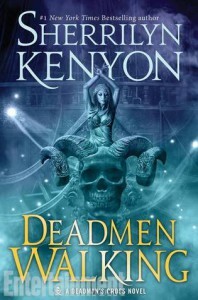 Another awesome book by Sherrilyn Kenyon, this time with pirates! Loved every second. I loved the backstory, the characters were so diverse, and the plot entertaining and engaging. Devyl and Mara were awesome protagonists and I hope they make appearances in the Dark-Hunter series so we can see how they fare in modern times. Love to see characters show up in other books. There wasn't anything I didn't like about this historic adventure set on the high seas with pirates who fight to protect the world from demons. The concept is inventive and fun. Devyl and Mara have been through so much together and I am glad they finally worked through their past so that they could have a future, loved them so much and am ready for more!